Great mug! Very prompt delivery and response from the seller! Will definitely be back :)! Seller worked with my short timeline and went above and beyond all my expectations. Will definitely order again. Perfect experience! 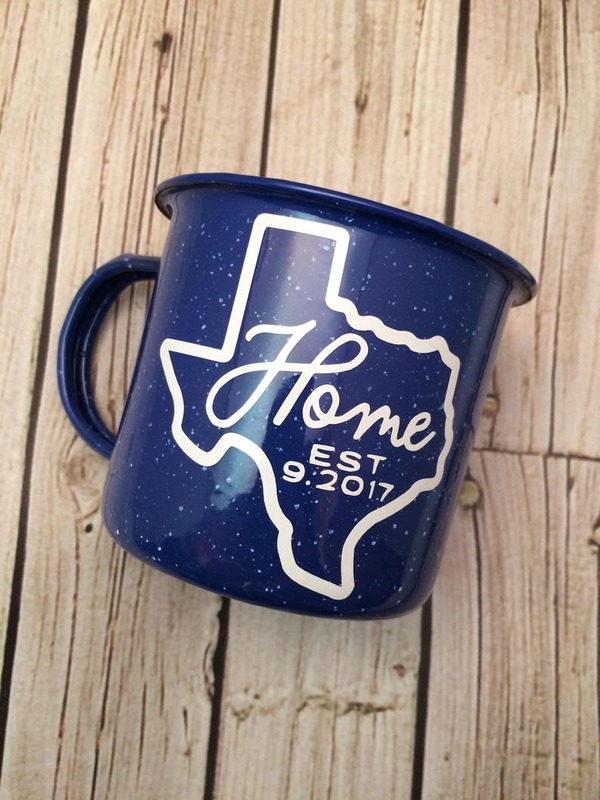 Sent two mugs to a girlfriend and her husband that just bought a new home in Texas. They were perfectly wrapped with a cute white bow. An excellent housewarming gift and my friend loved it! Love them! She did exactly what I wanted, she even made one left hand friendly. Very happy.